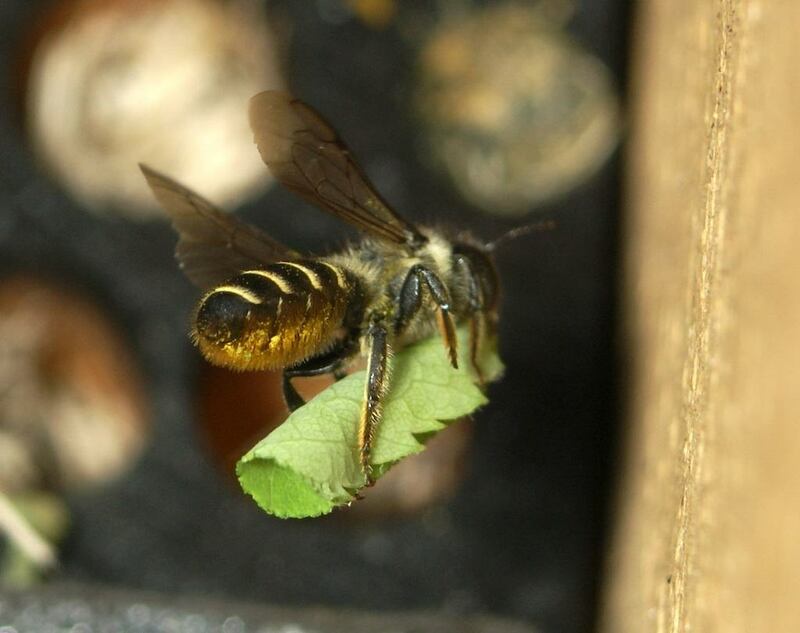 Solitary bees and wasps, their brood and nest provisions and their frenemies. Click on photos for a larger view. 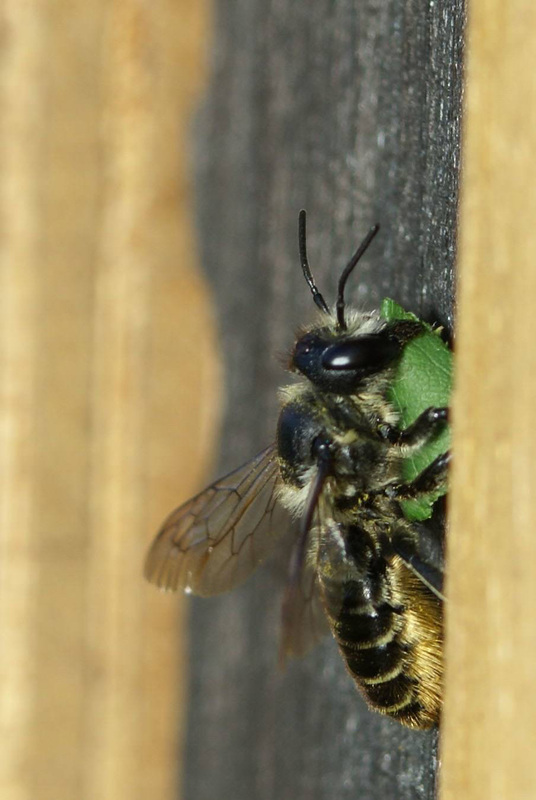 Nest provisions for bees include pollen or pollen and nectar; for wasps, stunned prey. 6. 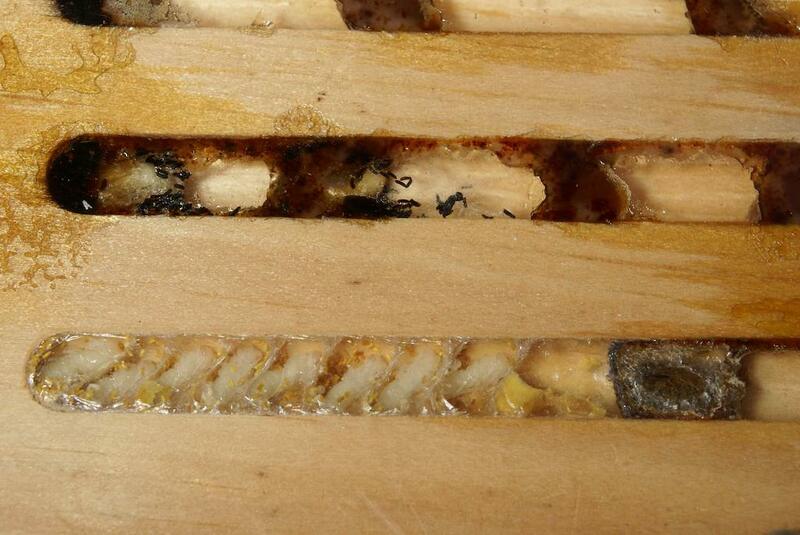 A kind of mason bee with nests (genus Hoplitis); pollen loaf and egg, centre. at The University of Maryland (2015, above). 13. 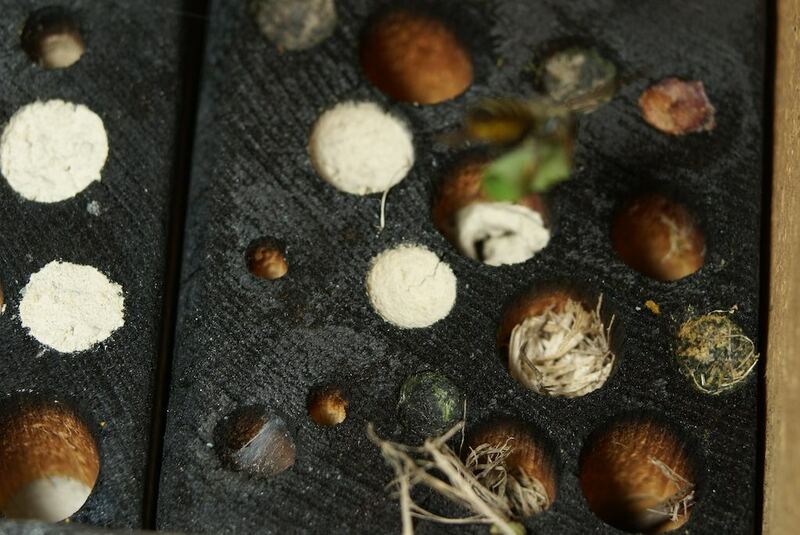 Unexpected variety of solitary bees and wasps, side A, at the end of year 1 (Access Alliance cabinet, 2014). 14. 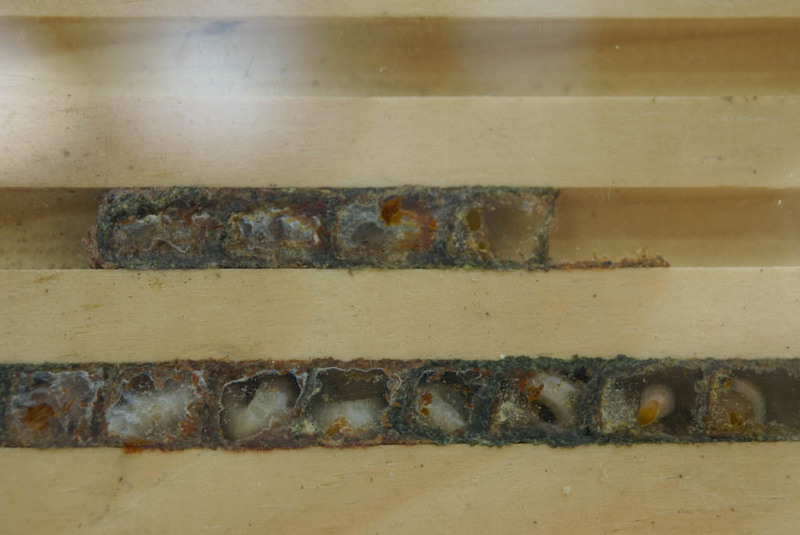 Pugnacious leafcutter and unidentified leafcutter bee nest plus a resin-using bee nest, in Aug of year 1 of a new nest plank (Access Alliance cabinet, 2017). See the set of images with notes about more of this nest plank’s inhabitants. Nest IDs by Scott Macivor, photo by Sara Mrosovsky. 2014 (year 1) at Access Alliance. 15. Artist Sarah Peebles checks out the Tree Museum booth in the Fall (2011). Lifecycle information is at Bee Biodiversity. 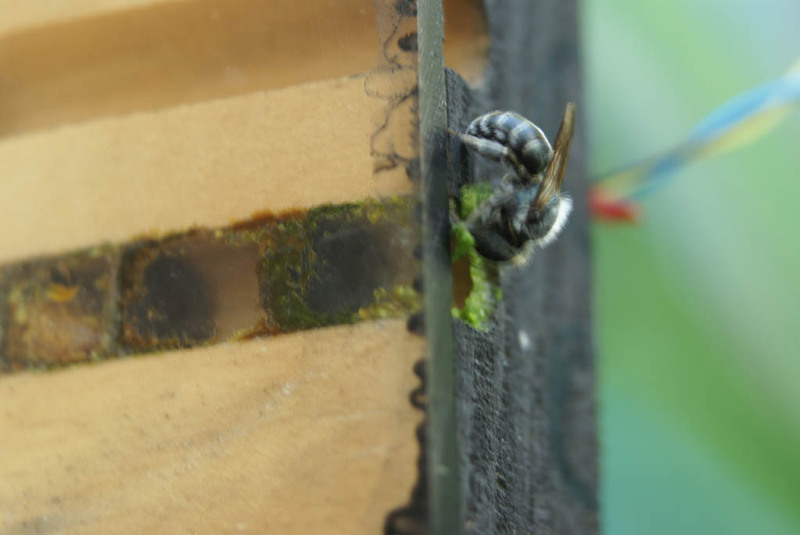 Videos: Odes to Solitary Bees (2010 – 2011) and Solitary Wasps Nesting at RB Youtube channel for macro videos of these bees and waps in action!